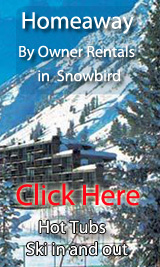 Find your own ski in and out by owner rental in Snowbird -click on this link! By Owner Rentals are a wonderful way to head to the slopes! You get a full kitchen, much more space and in all a quality experience. 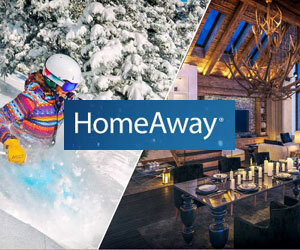 We partner with Trip Advisor and Homeaway/VRBO. Luxurious Upscale Studio Condominium With Spectacular Views-SLEEPS 2 -1 bdrm 1 bath-ave nightly rate is $262 - Book it! 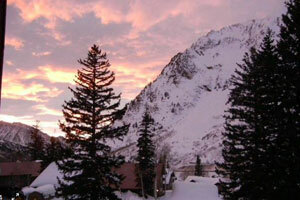 Iron Blossam Lodge at Snowbird- SLEEPS 4 -1 bdrm 1 bath - Book it! VRBO - 649983 - Sleeps four on two Murphy beds. Fully equipped kitchen, bathroom with a separate vanity area. Free parking. Ski lockers. Mountain view. Direct access to the outside. 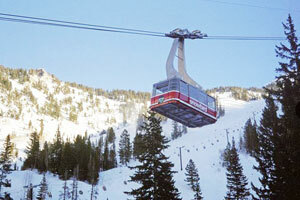 Short walk to tram, lifts, free shuttle to Alta. Wifi, heated outdoor pool, large indoor hot tub, sauna, exercise room, game room, laundry. The Wildflower Restuarant and Bar on premises. A short walk to other Snowbird restaurants. Iron Blosam Lodge, Great Powder weeks- SLEEPS 4- Studio- ave nightly $150/nt- Book it! VRBO - 631943 - This is a cozy and peaceful studio on the 9th floor of the Iron Blosam Lodge at the Snowbird resort. The studio has Mountain views. Perfect getaway for a single or a couple or a small family with very young children. Full kitchen and bath. Murphy bed, a sofa bed and a balcony. 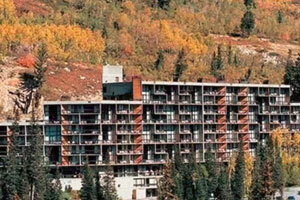 Hellgate J Condo w/ WiFi, Hot Tub, Satellite TV & Fireplace- SLEEPS 6- 2 Bedroom, 3 Bath- ave nightly $448/nt- Book it! Homeaway - 4266289 - Hellgate J is a newly remodeled condo decorated in the craftsman style and located in the West building. The mountain views and gas fireplace make this a lovely place for your party of four to six. Offering 1,250 Sq Ft of craftsman decorated living space with private decks and mountain views. Two Bedrooms, sleeps up to 6 people. Deck off Living Room, Full bath off living room, Bedroom 1: Master Bedroom with one with King Bed and full bath with Deck, Bedroom 2: Master Bedroom with two Queen Beds and full bath with Deck, Mountain Views, Washer and Dryer in Condo, COMPLEX AMENITIES, Common Area Hot Tub, Complex Parking both Indoor and Outdoor, Ski Lockers. Mountain Adventure - Steps to Ski Lift- SLEEPS 8- 1 Bdrms, 2 Baths- Book it! VRBO - 964000 - 2 story loft with full picture windows of ski slopes. Sleeps 8, 2 full baths. Spend Christmas at the 'Bird. 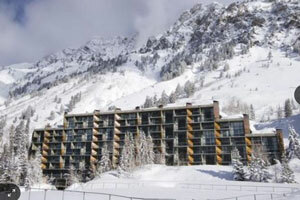 Condo at Iron Blosam Lodge at Snowbird, steps from Wilbere Lift & public transportation (UTA). Spectacular full window views of slopes & best snow on earth. Great place for a friends weekend or family getaways. 2 level loft with 4 beds (2 queen beds upstairs, 1 murphy bed and sleeper sofa downstairs, sleeps 8). 2 full baths. Full size kitchen with eat-in bar, full size stove, oven, and refrigerator, coffee maker, toaster, microwave, dishes, pots and pans (everything but the food). Free WIFI. Heated pool, hot tub, steam room, gym, laundry facilities & restaurant on premises. 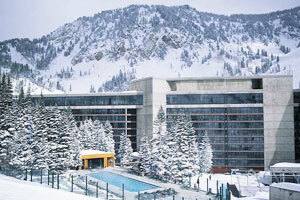 5 Star Crown Resort~Ski-In Ski-Out~Snowbird- SLEEPS 10- 2 Bdrms, 3 Baths - Book it! VRBO - 1174931 - Your Cliff Club condo has 2 Private Master Bedroom Suites, each has a King Bed, a Queen sleeper sofa, wet bar, coffee pot coffee pacs, mini fridge, TV, microwave, work desk, private balcony, and full bathroom plus make-up vanity area. Your full kitchen is complete with all the cooking/dining essentials, dining table, microwave, full-size fridge, stove/oven, dishwasher, TV, Queen sleeper sofa, private balcony with private jacuzzi. Washers and Dryers on every level. 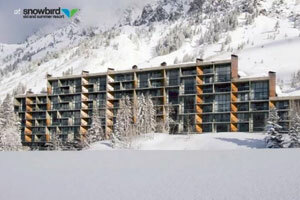 Snowbird, Utah By Owner Rentals- Our Blog!